Divorce is not easy. It is not fun. It is a heart-wrenching process. These are all true statements and as you search for the right divorce lawyer, you need to think about the qualities you want him or her to have. It is important for your divorce attorney to not only understand your feelings, but to also have compassion as you try to heal and move forward in your life. At Divorce Lawyer NY, we provide you with the attention you need and the attention that your case deserves. We always fight for your rights and protect them throughout the entire case. We do our best to minimize the effects that your divorce has on your life and we maximize results any way that we can. Whether you are trying to divorce your spouse or you want to have a paternity test performed, the team at Divorce Lawyer NY is here to help you. 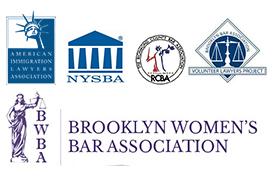 We offer consultations 718-769-6352 in our office for all Staten Island and Queens residents. Your case is our case and we are ready to fight for you. Whether your case is cut and dry or it is much more involved and complicated, our attorney is ready to handle it. We have worked with thousands of clients who had needs that ranged from something simple to something complex. No divorce case is too difficult for us to handle and you can trust that we will get you the results that you desire. 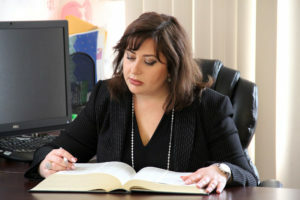 We know how difficult this time is in your life and our divorce lawyer in Queens works with your feelings in mind. In fact, we will even handle all of the conversations between you and your spouse to help prevent any further disagreements or heartbreak that may come along with it. The moment you call our office you become one of our partners and we will work with you to ensure that you see the results you want. When you need professional help to make sure your divorce goes smoothly and your children are not affected too much, call the team at Divorce Lawyer NY. We are ready to work with you to make sure all aspects of your divorce are handled from property division to alimony and child support. If you would like to schedule a consultation 718-769-6352 with our divorce lawyer, now is the time to call our office and set up a day and time to come in. If you need to meet with our divorce attorney after hours, please let us know, so we can arrange the best day and time.